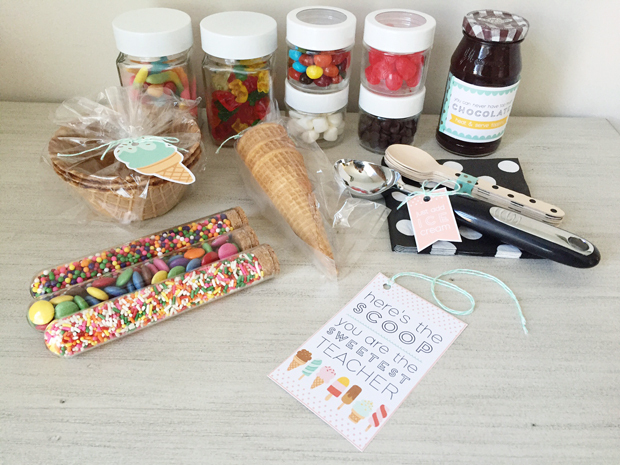 let's get crafty:10 teacher gift ideas round up. 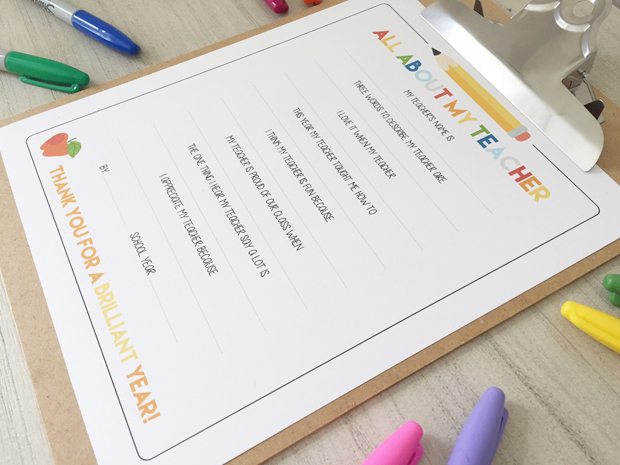 Here is a recap and round-up of 10 creative, custom and affordable teacher gift ideas for year end. 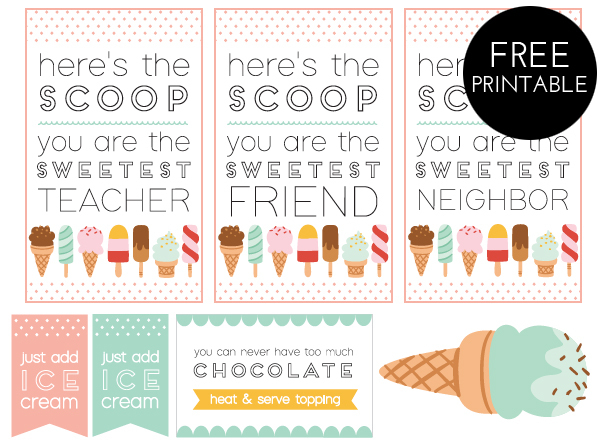 Each gift idea includes it's very own free printable to make that much more special. I hope you enjoyed this series and it simplified your gift giving for this year! Select the links below to browse the full blog post. 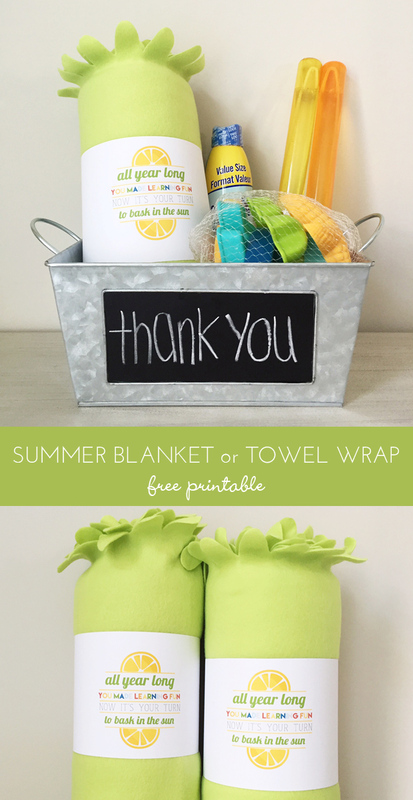 freebies: summer blanket or towel wrap printable. Just like my long winter's nap blanket tag printable, I thought it'd be fun to design a custom tag to band around a summer beach blanket or towel. A little encouragement to take the holidays slow and enjoy them relaxing on a beach or in the backyard. I picked up soft fleece lime green throws from IKEA and designed a tag to band around each blanket. 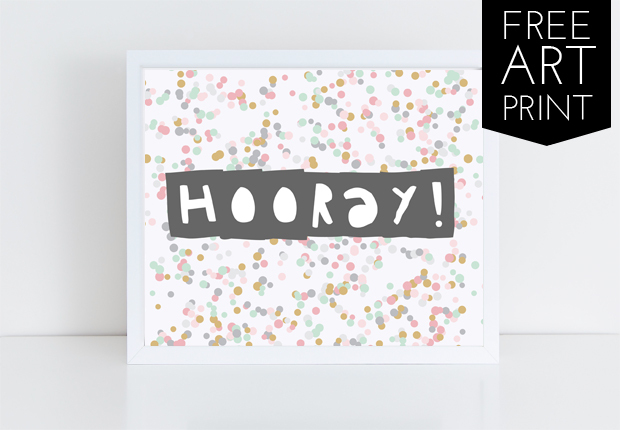 The printable prints two per page, simply slice in half and tape around your throw or towel with cute washi tape. 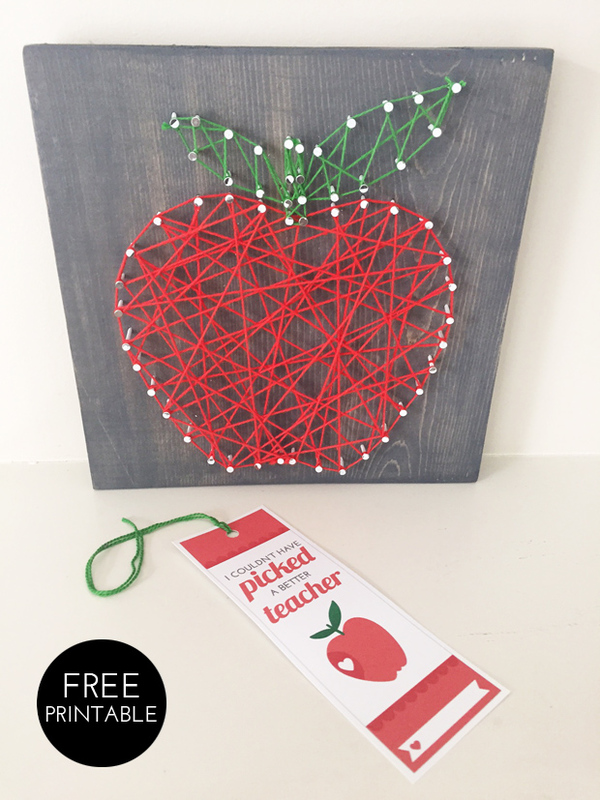 String art is a becoming a more popular craft. It's relatively simple and inexpensive, and makes a great gift and keepsake. I saw this idea on Pinterest, and wanted to make a few of my own for my daughter's Kindergarten teachers. To make the process a little easier, I designed an apple template of my own to fit onto an 8 x 8 wood surface that'll allow you to easily create your apple shape. My oldest daughter is 8 and loved helping with twisting the embroidery thread to the nails to create the string art. 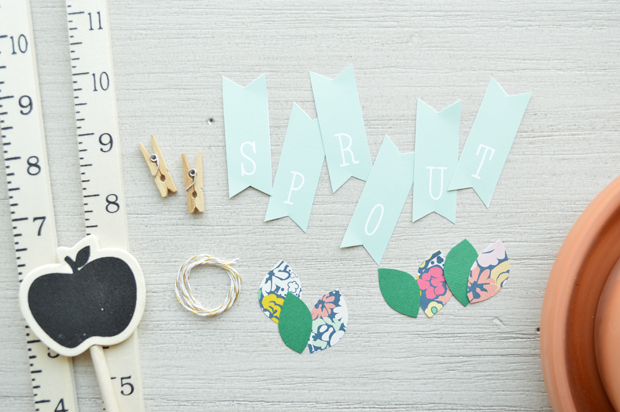 There is no right and wrong way which makes for a fun craft project! 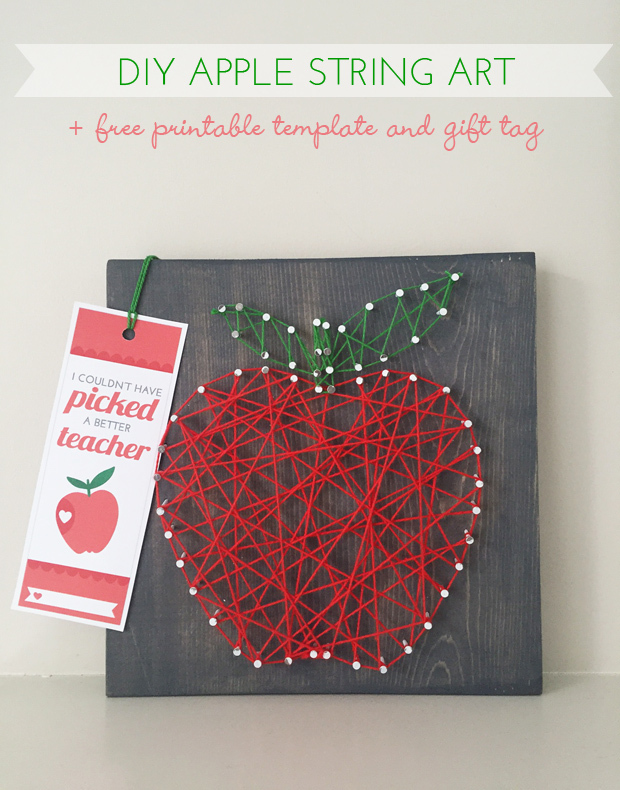 + I've also written a similar tutorial to create your own heart string art HERE. 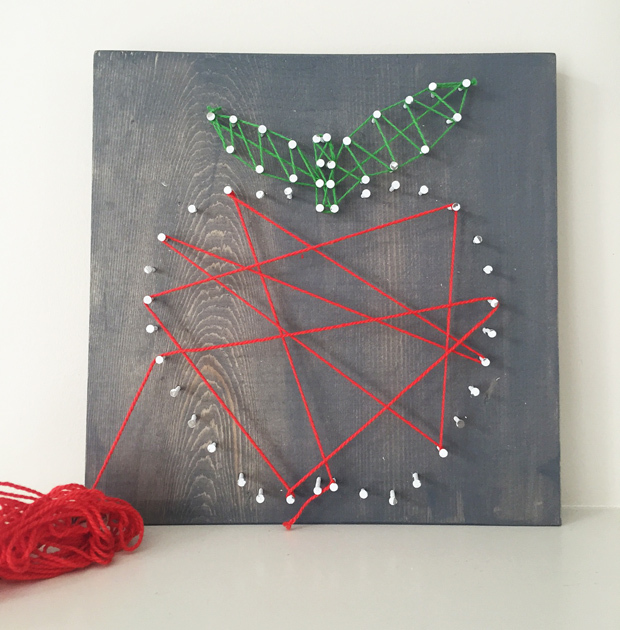 Follow the steps below to create your own apple string art. Begin your project by printing this free printable apple template. The apple template is conveniently marked for the positioning of your nails. 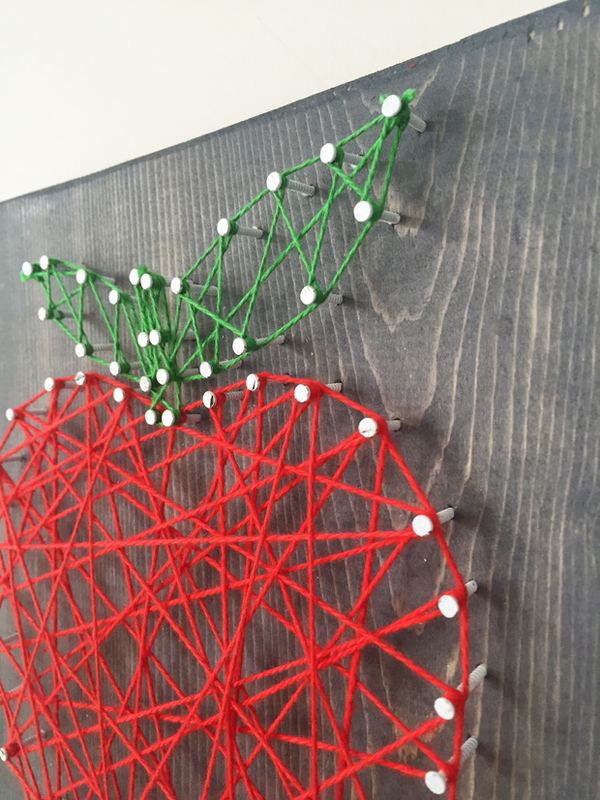 Place your apple template on your wood surface. You can tape the template down for security. On a solid surface, hammer the top and bottom nails in to keep your template from shifting. Hammer each nail into the wood, about halfway, leaving enough space for you to wrap your thread. Hammer all of your nails along the apple's border. Remove paper template. Tie a knot of your red thread at the bottom nail head on your apple. Begin to randomly strand your tread to the nail heads, looping the thread around once. It’s important to keep tension on your thread the entire time to avoid the thread slipping or unraveling from your nails. Once you have your thread stranded over the entire apple, try to loop the end of your design at the same beginning point. Tie a knot to secure. Trim thread. Repeat steps 4 and 5 with green thread to complete your apple leaves. Have your child sign and date the back of the wood with sharpie marker. 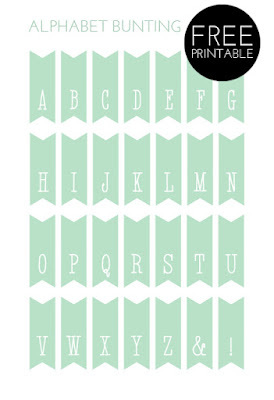 Download and print the free printable gift tag bookmark using the link below, and attach to your gift, bag, box or project. 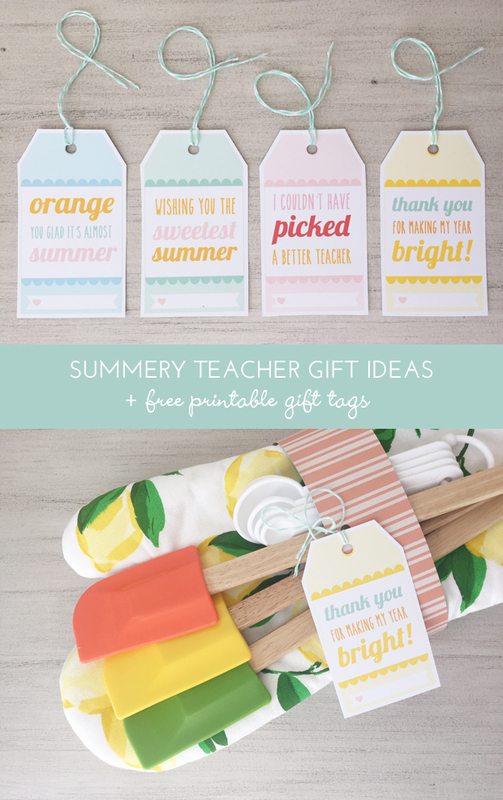 freebies: summery teacher gift ideas + printable gift tags. 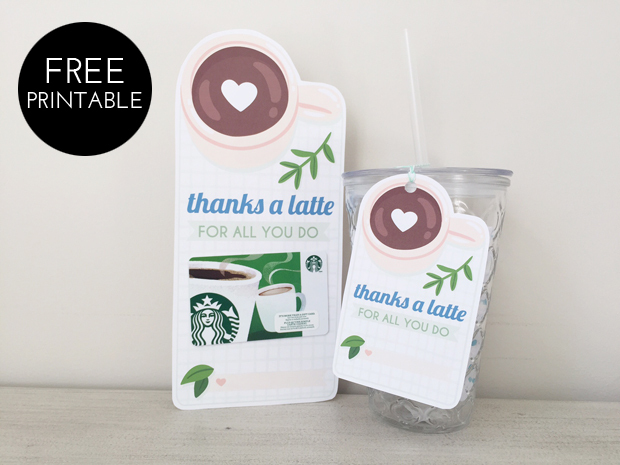 freebies: bus driver thank you gift tags. Let's not forget about our reliable bus drivers who get our children to school safely all year long! 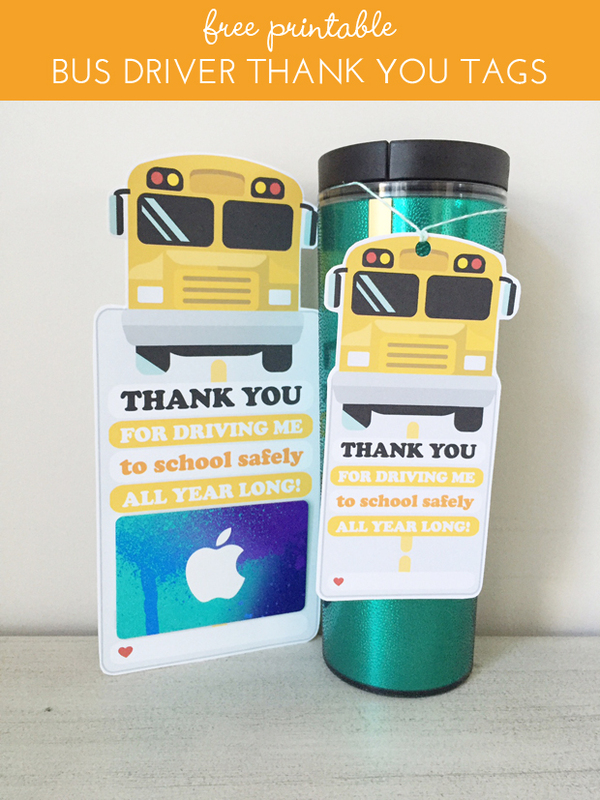 Use these themed gift card holder tag or gift tag to "wrap" and deliver your bus driver gifts. 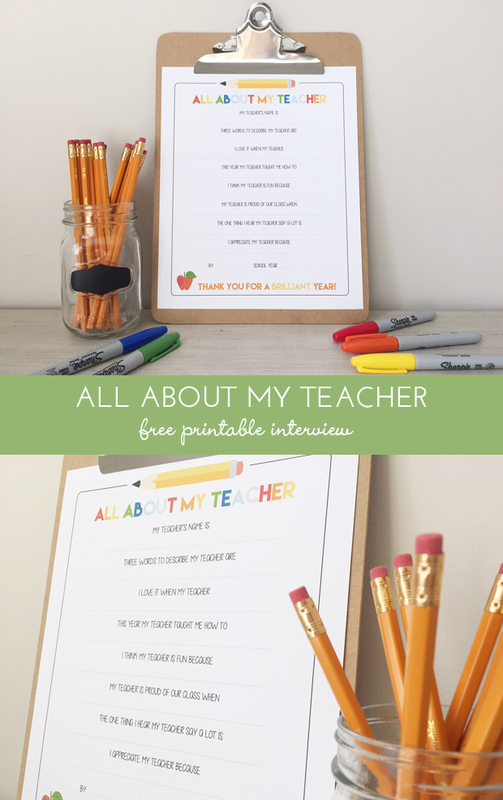 freebies: all about my teacher interview printable. 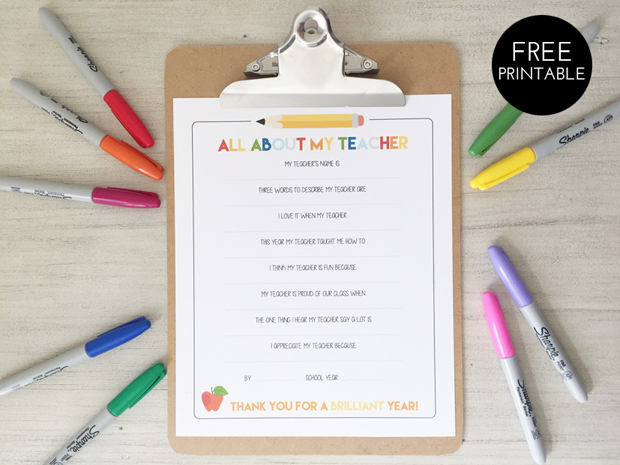 School's end is just around the corner and since my my mama printables and all about daddy printables were popular, I was inspired to design an interview "all about my teacher"! 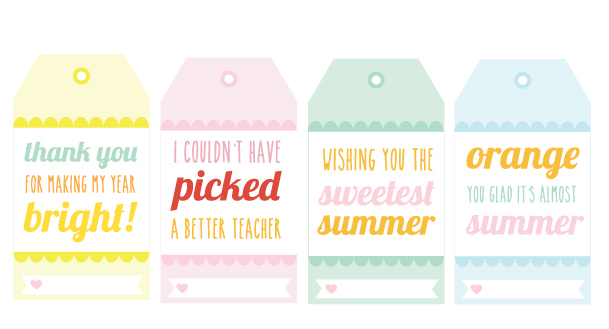 What teacher wouldn't love the gift of this questionnaire? These interviews are always such a fun activity to do with your children and I suspect you'll collect some creative answers! Simply download and print the questionnaire and have, or help your children, complete the thoughtful questions! 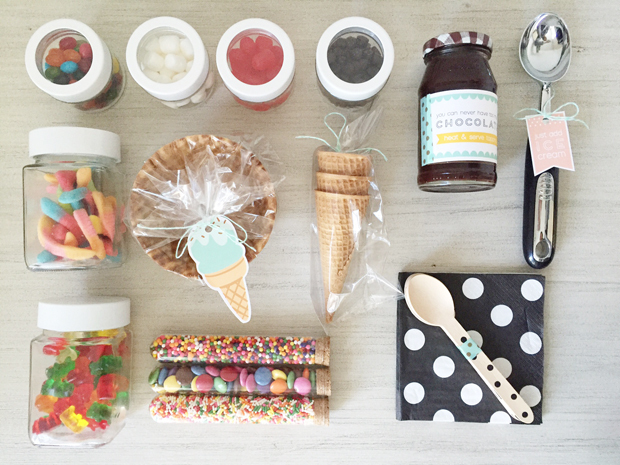 My daughter's and I had so much fun building two ice cream kits to use as teachers gifts this year. They are rather quite inexpensive and simple to put together. And you can get as creative as you'd like with what you tuck inside! This would make such an awesome bring along to a small barbecue or potluck, or a thoughtful gift for a friend or neighbour. 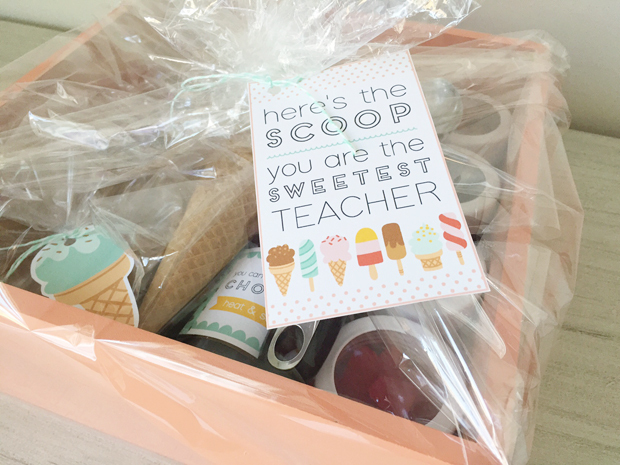 I might even surprise my own kids with one for the last day of school! 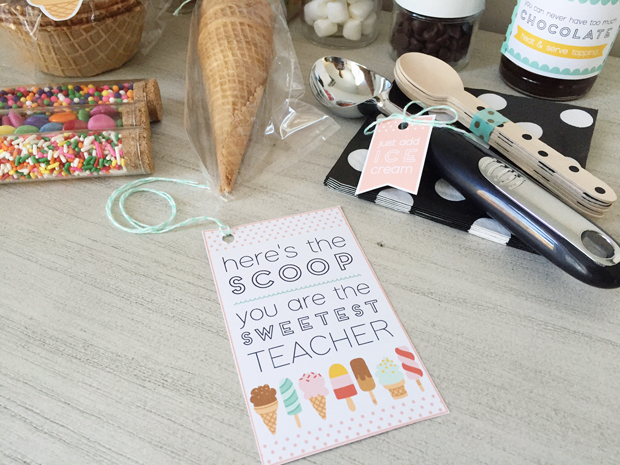 I've designed a set of printables for your kits including a teacher, neighbor and friend gift tag, an ice cream scoop tag and chocolate sauce label. box for packing: wooden shelf for 90% off at Michaels! 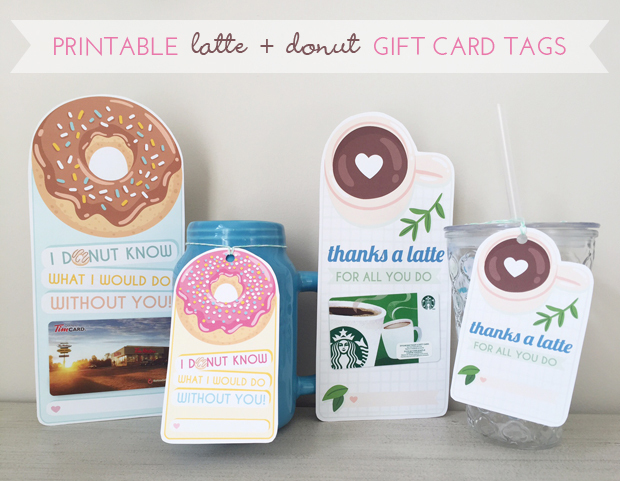 freebies: thanks a latte + I donut know gift card holders + gift tags. 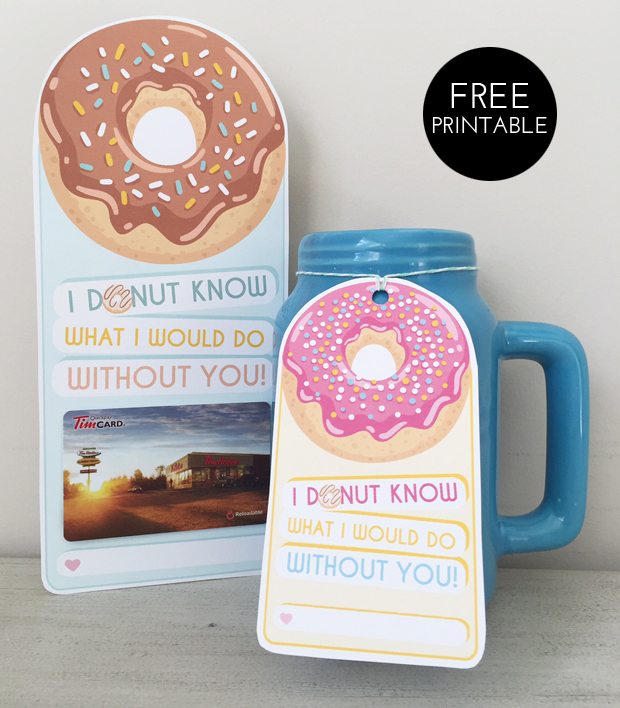 The gift of a gift card to a favourite coffee place or donut shop is always appreciated. I've designed these pun-y gift card holders and matching gift tags to help you "wrap" and deliver your gifts. 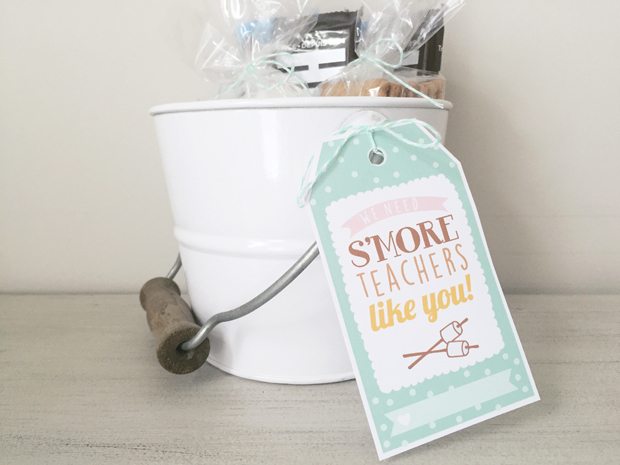 This bucket of s'mores makes for a creative and cute teacher gift. Always remember, it's the thought that counts. 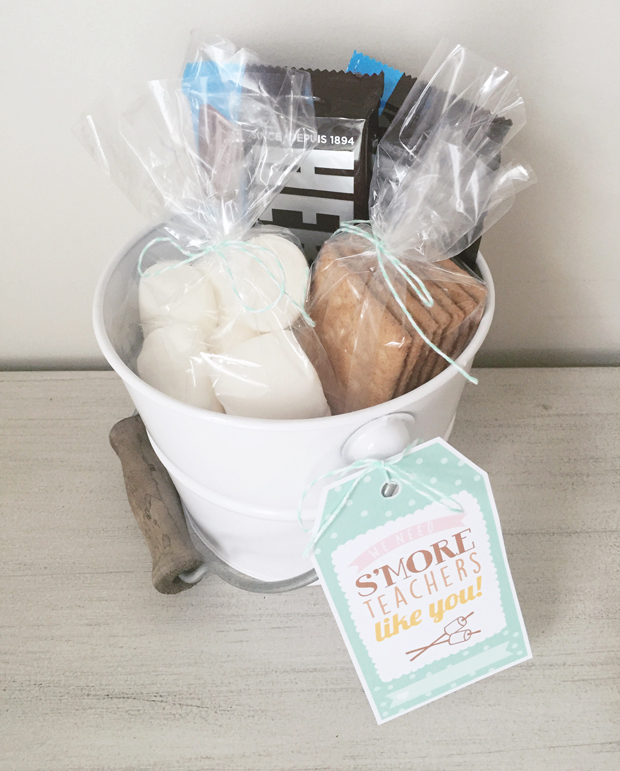 Each bucket of s'mores costs under $5 to put together and is an excellent inexpensive gift idea, especially if you're passing out multiples at the end of the school year. 1. 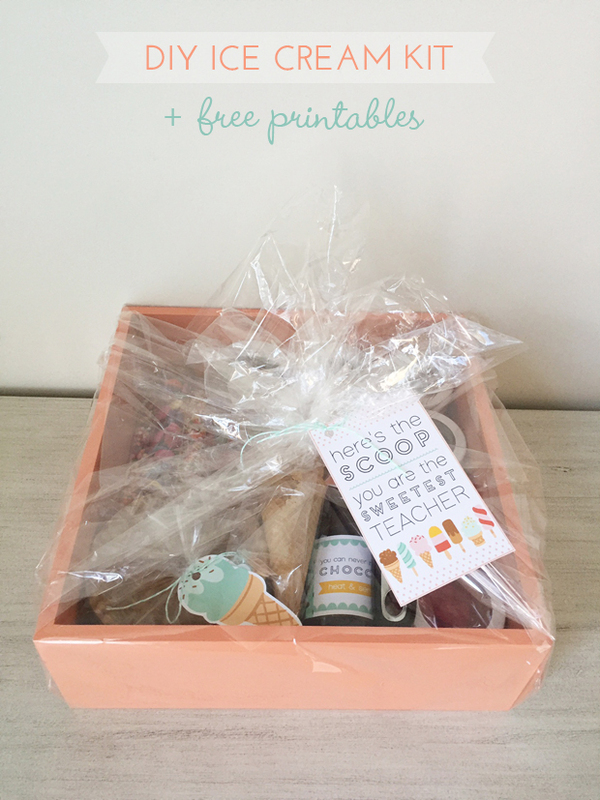 Package your marshmallows and graham wafers in clear treat bags tied with twine. 2. 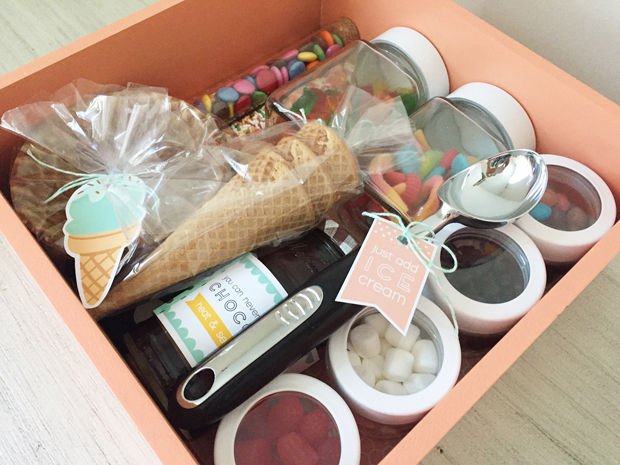 Place the chocolate candy bars, mallows and wafers into your bucket, basket or container. 3. 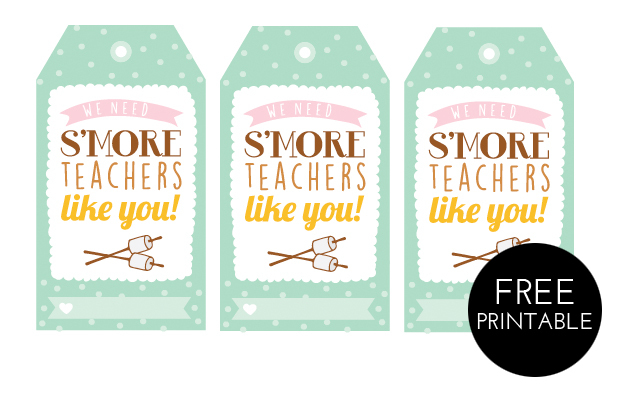 Download, print, trim and hole punch the free printable s'more teachers like you tag. 4. Attach the tag to the container using twine. 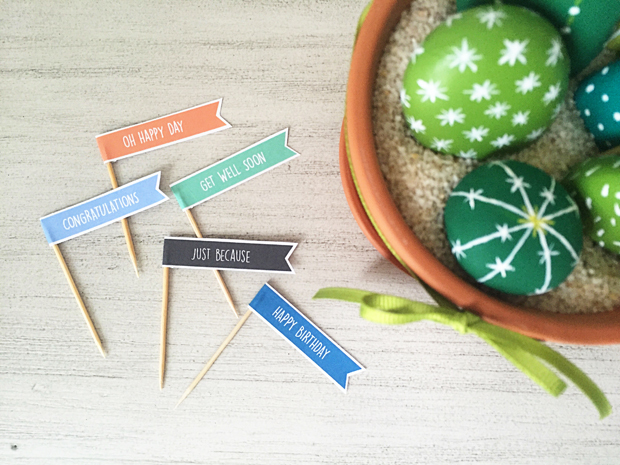 let's get crafty + freebies: DIY rock succulents + printable occasion flags + gift tag. I spotted this project on Pinterest and couldn't wait for a crafternoon to work on it with my daughters. We love going for nature walks and one of our favourite things to do is throw rocks into the river, and along the way, pick our favourites and bring them home. I loosely followed this tutorial and created my own collection of DIY rock succulents. 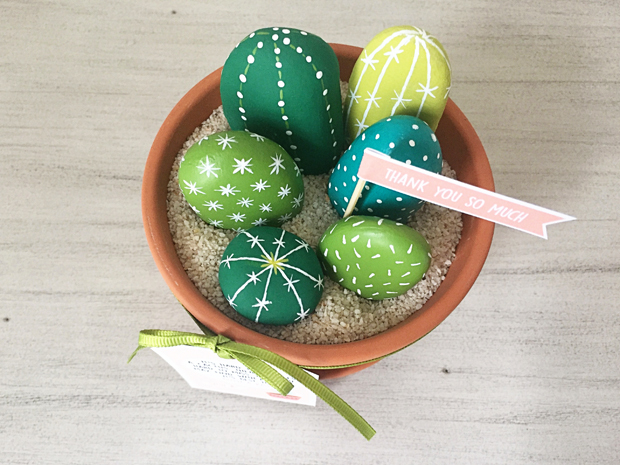 I arranged the cacti in a simple terracotta pot filled with decorative sand. 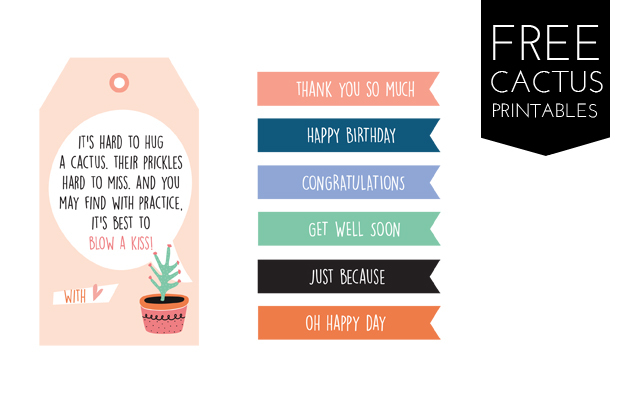 I designed a set of printable flag inserts with messages suited to any occasion along with a gift tag with a cute poem with room for a signature on the bottom. The flag inserts are simply folded at the end, wrapped around a toothpick and secured with a dab of hot glue. 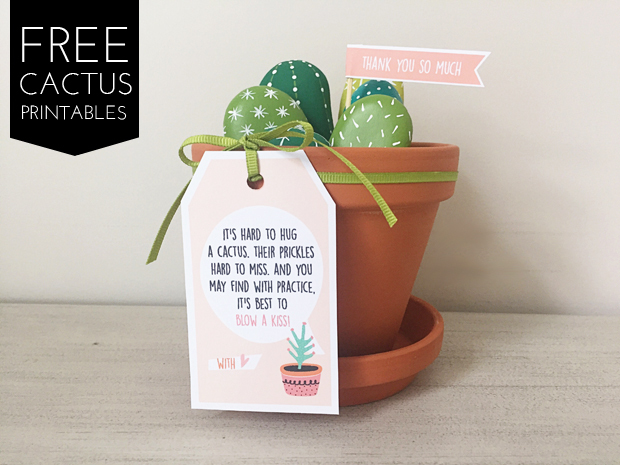 You can use these printables to accompany a real succulent plant or terrarrium as well! 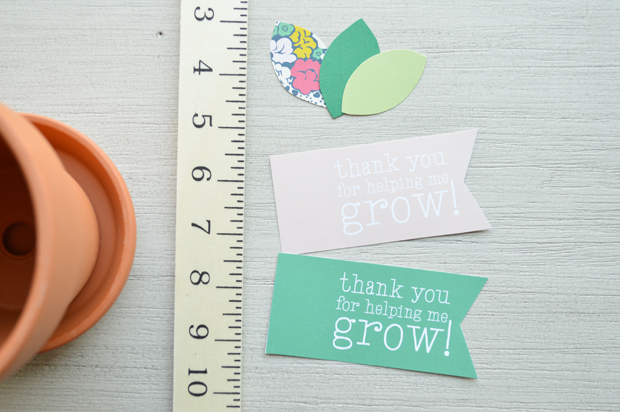 This craft makes a wonderful, inexpensive, unique gift for anyone... especially someone lacking a green thumb like me! And just in time for school's end, this immortal plant would be a lovely gift for your favourite teacher. freebies: HOORAY free art print. 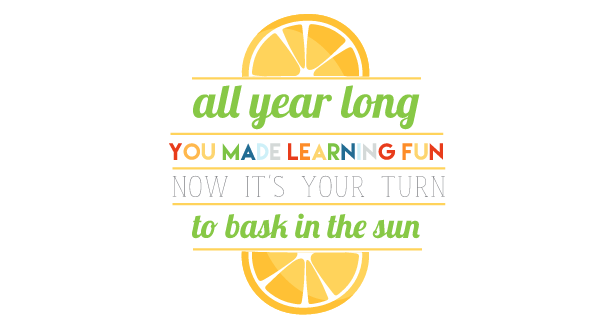 it's May long weekend! And we're not going to let these cool temps, gloomy skies and raindrops bring us down! 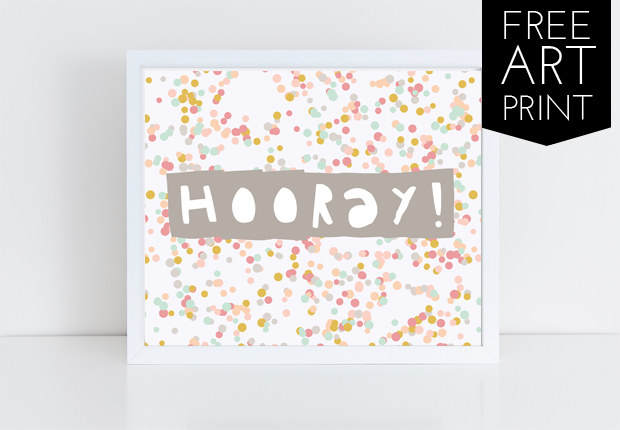 Here's a cheerful art print available in 3 colours for you to add to any space! simply download and print at home or at your local photo printing location. i'd love to see how you incorporate it into a space, so feel free to email me or tag me @sarahmstyleyyc in your photos on instagram! 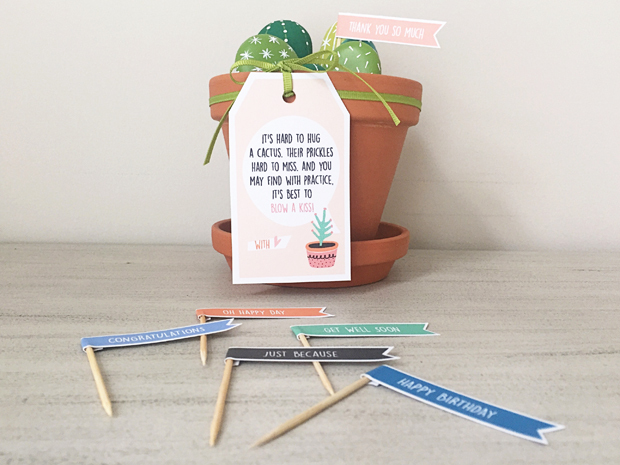 DIY: teacher appreciation plant pots + free printables. 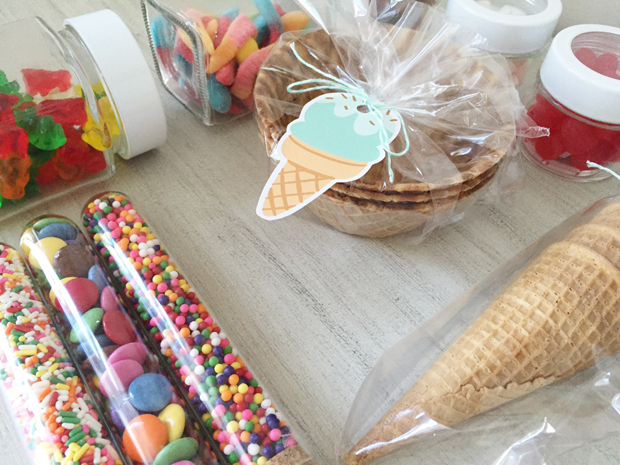 summer is almost here and school is nearly out... and i'm officially counting down the days of packed lunches! a whirlwind year filled with lots of learning, proud art projects, anticipated gym days, and new friends. 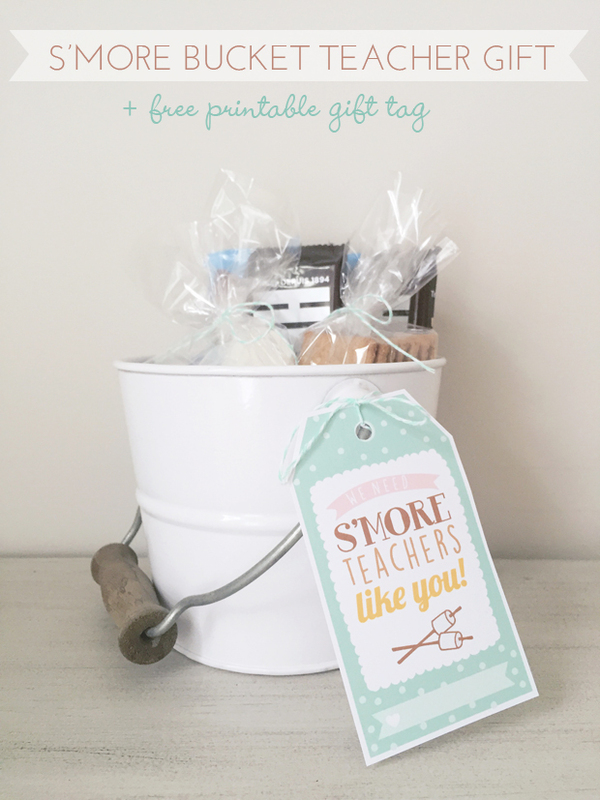 my 3 certainly loved their teachers this year and to show our appreciation for their hard work and dedication all year long, we love giving unique, personalized, cheerful gifts that won't break the bank. this project also makes the perfect gift for care providers or day homes. 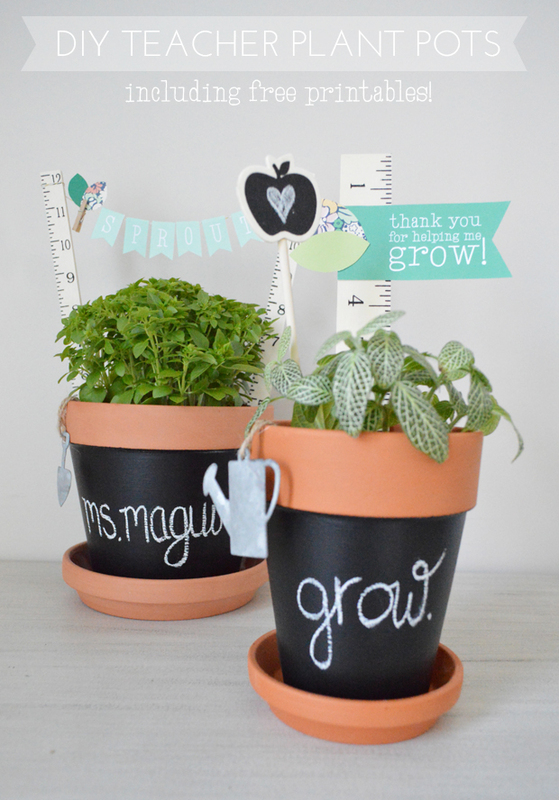 i designed two chalkboard painted terracotta pots that can be customized with your very own special message. 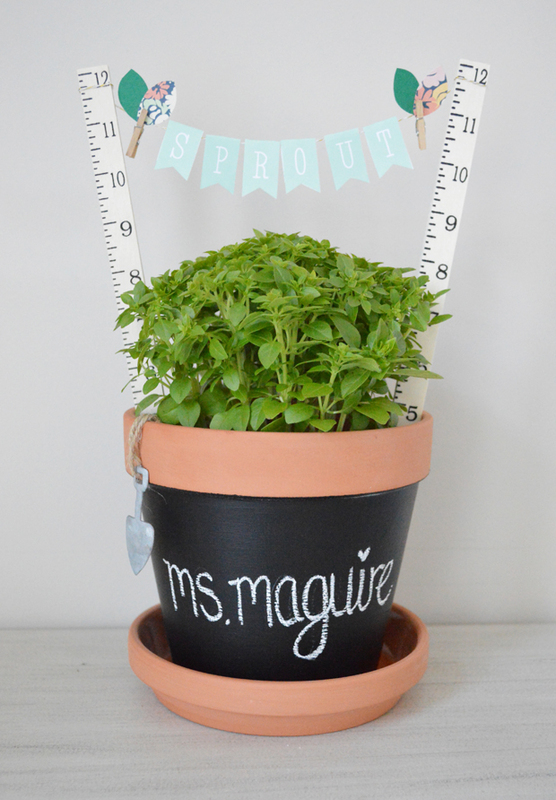 you can use any plant pot for this project, or even have your child paint their own pot to make the gift even more special. 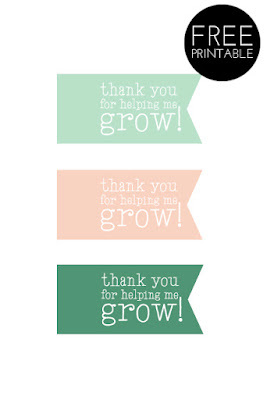 the first plant includes a ruler with a free printable tag "thank you for helping me grow". I cut out a couple leaves to add to the tag as well for a little colour and detail. 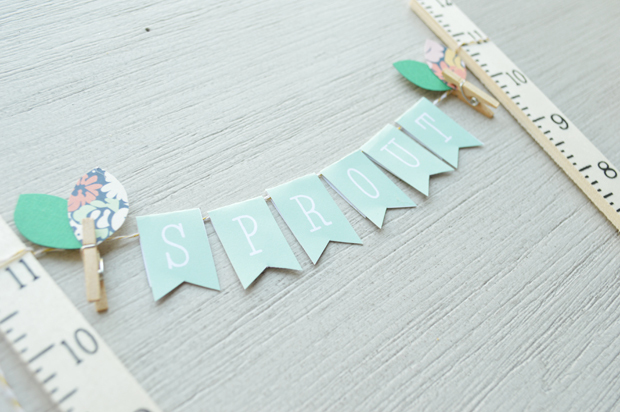 the second plant includes a bunting banner created with a free printable alphabet bunting set, where you can trim out letters to spell your own message. the bunting is strung between two rulers. i also added colourful leaves to the bunting with mini clothespins. 1. Paint your pots. In my project, I masked the top border of my terracotta pot and painted the remainder with 3 coats of Rustoleum chalkboard paint. 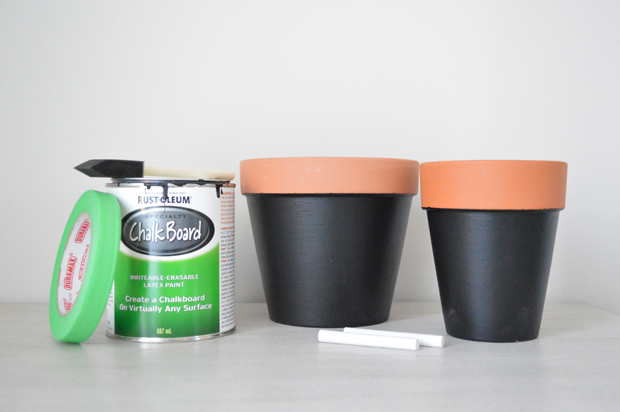 Also, you can use any finished plant pot for this project and skip the painting, or even have your child paint their own pot to make the gift even more special. 2. 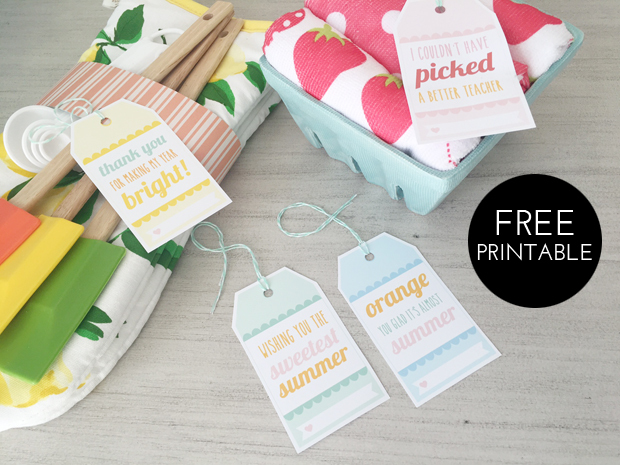 Print the free printable alphabet bunting or free printable thank you tags. 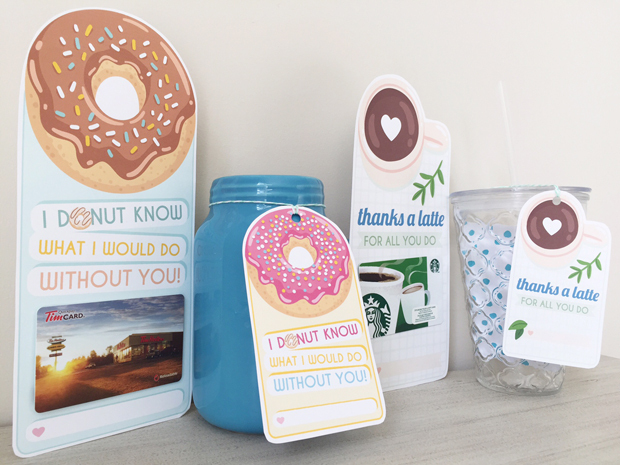 Trim the printables. Cut leaves if desired. 3 a. 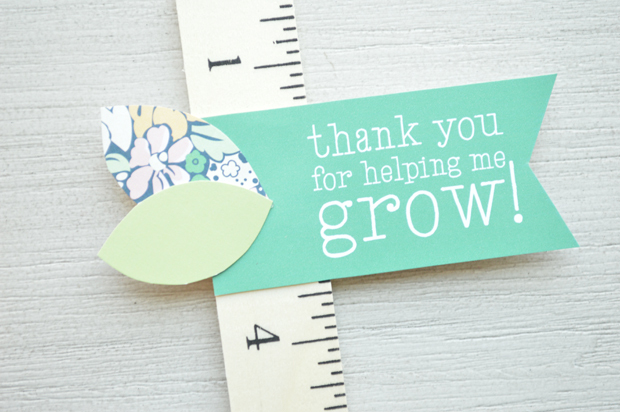 Attach the thank you tag and leaves to the ruler with hot glue. 3 b. 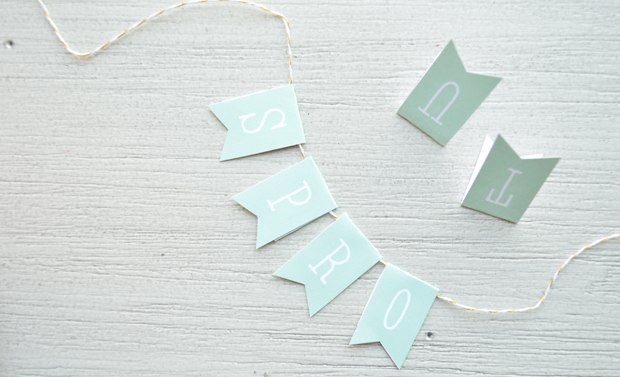 Fold the bunting letters in half and attached to your string using a dab of hot glue in the inner fold. Tie your string to each ruler with a double knot. Add leaves to your bunting if desired. 4. 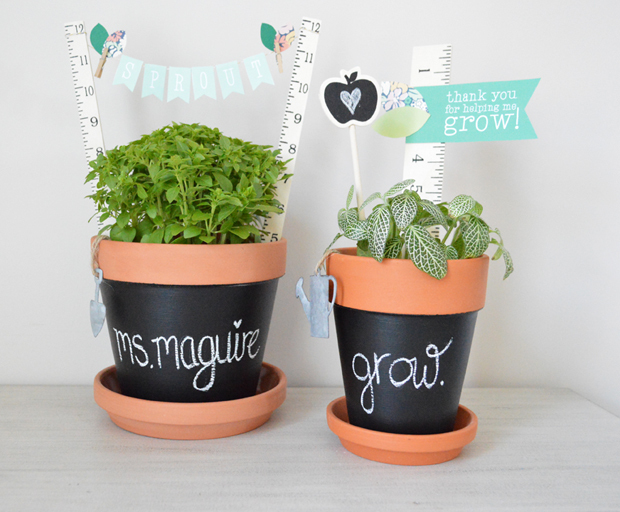 If you painted your pots with chalkboard paint, it's time to write your message on your pots. 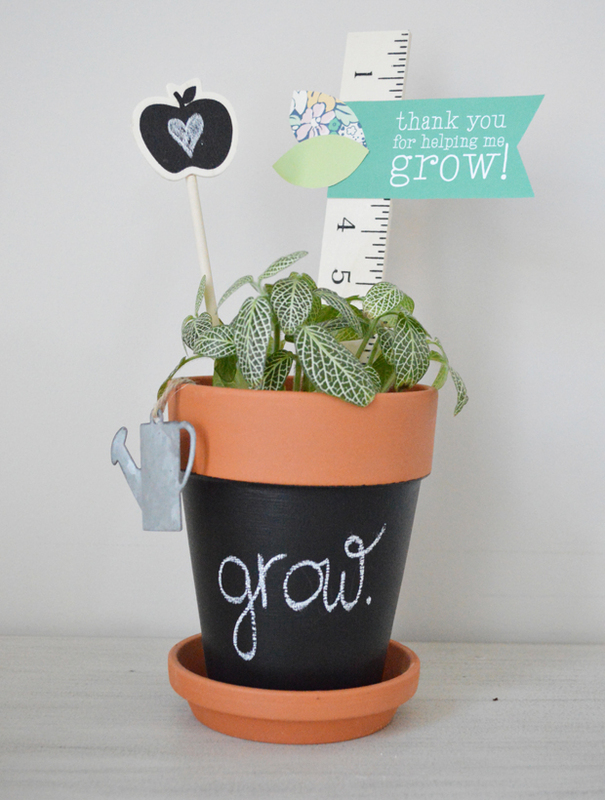 I customized one of my pots with a teacher's name and the other with a simple message, "grow." 5. Add your plant to your pot. Insert your rulers into your plant. I left my plants in their original planters from the garden center and didn't insert my ruler into the soil, but rather, between the two pots. 6. 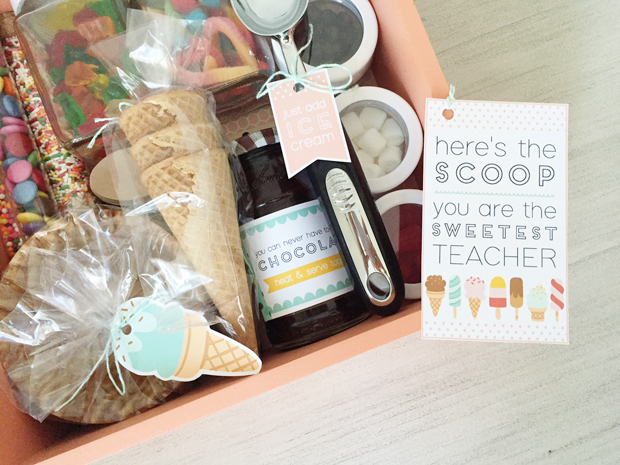 Make your teacher's day!